The road that Terraria ($4.99) has taken to get to the App Store has been an interesting one, but at long last the game is finally available on mobile devices worldwide. A touchscreen port of the popular 2D Minecraft-like building game Terraria seemed like a perfect fit, and had been oft-requested even since the original PC launch of the game back in 2011. Xbox Live and PlayStation Network just got the game themselves earlier this year, with a Vita port on the horizon as well. 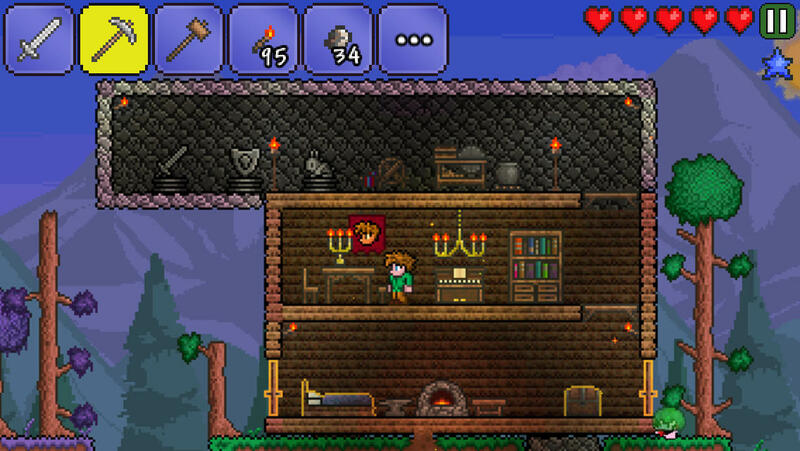 It wasn’t until this past May that developer Re-Logic confirmed that Terraria was heading to mobile devices in the summer, and just this week there were whispers that the game was slated for launch this Thursday. However, Terraria didn’t follow the typical weekly release routine that most new games do, which is being scheduled for a Thursday release and then slowly trickling out across the globe as each different time zone struck midnight, which actually equates to 11pm EST here in the US. Instead, Terraria saw fit to tease us all by playing coy with a specific release time, but all is well now as the developers likely just “flipped the switch" manually to set the game live across the world at the same time. I think the rollercoaster of emotions we’ve felt as we waited with baited breath for Terraria will have been worth it though, as developer Codeglue, who handled the mobile port for Re-Logic, have a list of improvements they’ve made for this version. Those include a completely redesigned control scheme made for multi-touch screens, a complete rebalancing of the game to make it more conducive to mobile gaming, and Retina Display optimized graphics for iPhone, iPod touch and iPad. There’s also Game Center integration for leaderboards and achievements, and Facebook integration for sharing screen shots of your worlds and creations. 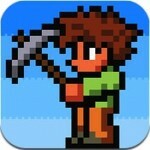 There’s not a whole lot more to say, other than if you’ve been hotly anticipating Terraria you best get to downloading. You can join in on the discussion and read early impressions form gamers in our forums, and look forward for more Terraria coverage from us in the coming days. Previous PostPrevious ‘Muscle Run’ Review – Raw Power Racing… Possibly a Bit Too Raw?